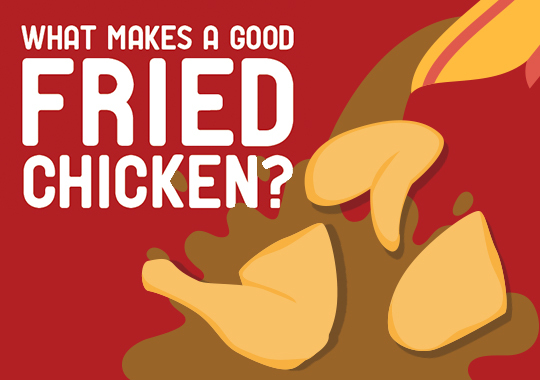 What Makes A Good Fried Chicken? Craving some fried chicken? We know just the place. For Pinoys, having fried chicken for lunch or dinner is as basic as, well, eating lunch or dinner. Whether it’s a birthday party, an inuman, or a normal day at the office, you will see and hear people clamor for fried chicken. The logic behind it needs no explanation. It’s the best thing that ever happened to mankind. Are you now craving for some fried chicken? Share your Chicken McDo experience at www.facebook.com/mcdo.ph or tag @McDo_PH on Twitter and Instagram and use the hashtag #ChickenMcSavers. Happy eating!